Origin: Coorg, Chikmagalur & Hassan, India. An excellent coffee, named after the Royal city of Mysore whereby coffee used to be grown when Arabica plantations were first rooted. This coffee is grown at several farms in the locality of Coorg, Chikmagalur and Hassan. Coffee from India is renowned for its bold, rich, savoury notes. However, this bean has a sweetness that is sure to please. 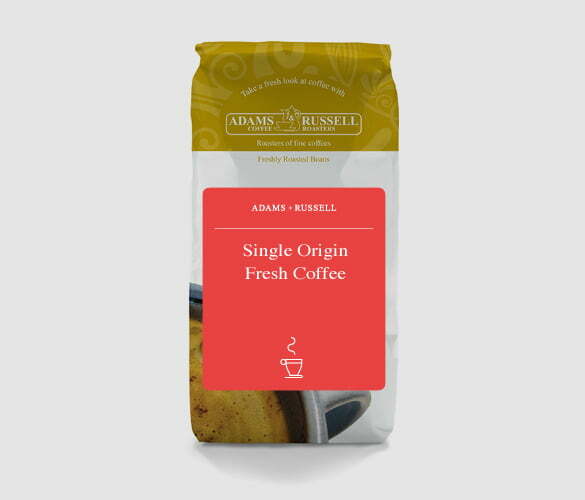 This bean is packed full of spicy and nutty flavours with a medium acidity. There are also traces of herb and flowery tones that also can be tasted. They are roasted medium, which provides an intense aroma. However, light enough to allow these more delicate flavours to be present. Enjoy black through an Aeropress for a real treat! The India Brand Equity Foundation tells us that coffee production in India grew rapidly in the 1950s, going from 18,893 tonnes to 68,169 tonnes in the space of 10 years. The governments decision to allow coffee planters to market their own produce rather than selling to a central pool also boosted the country’s production. India is the worlds seventh largest producer and in 2015 and 2016 it accounted for 4.05% of the worlds production. India now exports to over 45 countries, which is no surprise as the beans are favoured for their sophisticated edge. These beans have a moderate acidity that is balanced with subtle, rich flavours of sweetness and spice. The subtle spicy characteristics is what makes this coffee unique and a must-try. With origins of Coorg, Chikmagalur and Hassan, which are some of the most popular growing areas in India, and elevations of 1000 – 1350m, premium quality beans are produced. Add sugar to brewed coffee and allow to cool. Blend the coffee mixture and milk in a blender for a few seconds. Add cream and crushed ice and blend for a few more seconds until frothy. The great thing about this recipe is that it is totally customisable. If you don’t want to put ice cream in your drink, you can add ¼ teaspoon of vanilla extract and another tablespoon of sugar instead. Alternatively, you could add a scoop of ice cream at the end on top of your drink. You can also play around with flavours. For example using different flavours of ice cream or adding some cinnamon or whipped cream on top. A fairly dull coffee, nothing particularly exciting about it. Chose because it was recommended for aeropress but wouldn’t buy again. Hey Luke, thanks for your feedback regarding this coffee. I personally like this through an Aeropress but find I have to brew it for longer to really bring out the flavours. Usually using an upside down aeropress. If you’re looking for something with a bit more flavour, perhaps you could try the Costa Rica Beans or the Rwandan (which has just come back into stock).